If you’re considering buying an RV or trailer, you have a lot to think about before parting with your hard-earned cash. There are thousands of models on the market—it can be hard to know where to start. 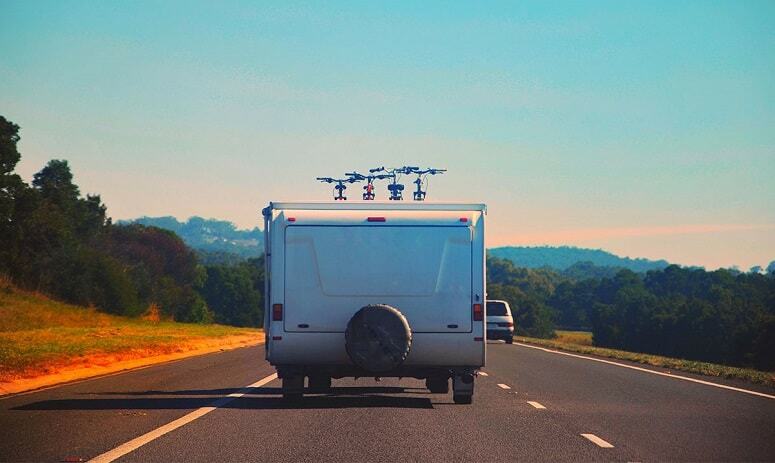 You may be unsure of whether to choose an RV or a towable trailer. Or perhaps you know which style you want, but are unsure of the model that will suit you best. RVs and trailers are long-term investments. You want to enjoy your home away from home for many years to come. In this first-time buyer’s guide, you will learn what you need to know before you make a purchase. This includes everything from technical details to your personal expectations. You’re thinking about purchasing an RV or trailer for a reason. It’s important to know exactly what you want from your new purchase in advance. “I want to go camping” is not enough to drive your purchase. There are other expectations you need to identify in order to make the best choice. You should know in advance who you will be traveling with most of the time. Different types of RVs and trailers have varying capacities. A vintage teardrop trailer might look cool, but will it sleep your family? Trailers and RVs can sleep anywhere from one to ten people, depending on the type. Certain types of trailers are not well insulated. Insulating is a serious DIY project so be careful with it. If you plan to be taking the bulk of your trips in the winter, consider RVs or trailers with arctic packages. These are models that are designed to withstand freezing temperatures. If you choose a standard model, you will likely have to upgrade it with an arctic package for winter travel or do insulation yourself. Where do you picture yourself taking your RV or trailer? Camper trailers and pop-up tent trailers are best for boondocking (parking anywhere, not necessarily in campgrounds). You can even find models with the ability to go off-road for a true wilderness experience. Larger trailers and motorhomes cannot be taken off-road. Some national parks and campsites have size limitations for RVs and trailers. Check out your desired destinations beforehand, to find out if there are any restrictions. If you’re going to buy a trailer, consider your towing vehicle. It may sound obvious, but you want to be sure your car or truck is up to the job of hauling your new home. You should also know if you’ll need to obtain an appropriate license. A car will not have the same towing abilities as a truck. If you’re unwilling or unable to upgrade your car, keep this in mind. Lightweight pop-up tent trailers are compatible with nearly any vehicle, as are campers and some models of travel trailer. Always check your vehicle’s individual towing capacity and adhere to it. Otherwise, you may damage your trailer, RV or vehicle, and you could cause a serious accident. 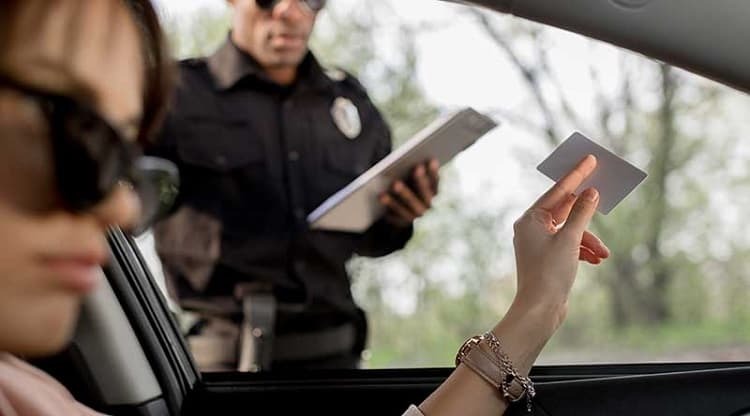 Regulations for driver’s licenses vary, depending on the state. You may need an endorsement or a new class of license. The majority of people have a non-commercial driver’s license. A standard class C license in many states lets you to tow or drive a vehicle weighing up to 26,000 pounds. Most RVs and trailers fall under this weight. If the weight of your desired trailer or RV is more than this, you may need a class B license. In some states you will have to upgrade from a non-commercial to a commercial license. It’s important to check this information with your local Department of Motor Vehicles (DMV). 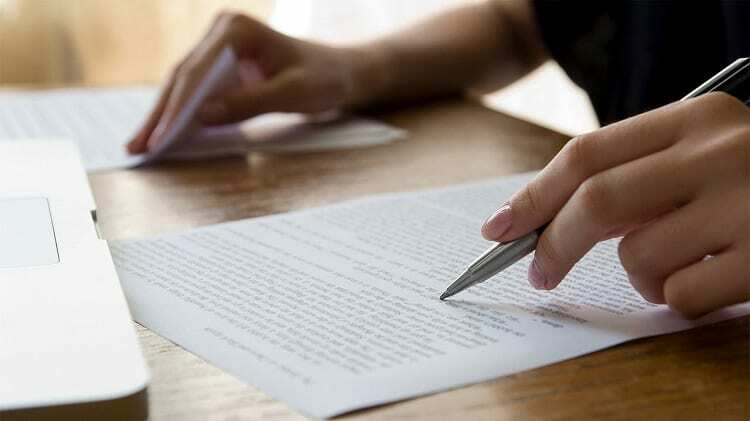 Make sure you have all the legalities in place before you make a purchase. Figuring out a budget for an RV or trailer is not as simple as you might think. There are different costs associated with RV or trailer ownership. These range from one-time-only payments, to ongoing expenses. The price of the trailer or RV is included in upfront costs. 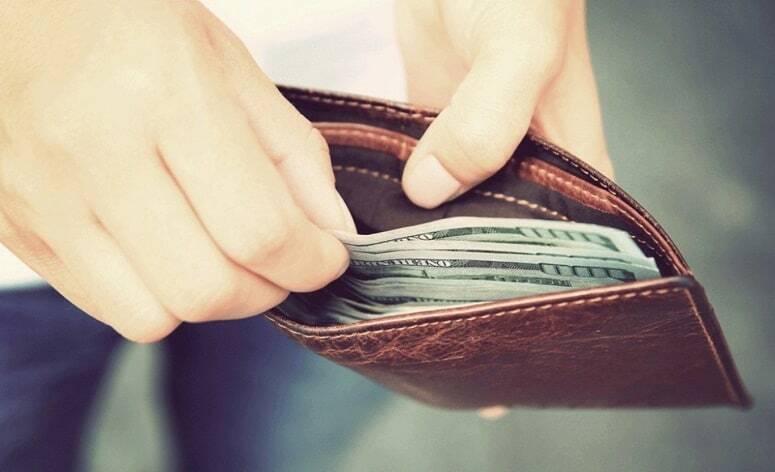 This is likely the number you are thinking of when planning out your budget. Trailers are almost always going to be a cheaper alternative to motorhomes. A standard motorhome will cost a minimum of 40,000 dollars, when new. Now, this is not to say that all trailers are cheap. Some models of fifth-wheel and travel trailer can also be extremely pricey. Still, you will have more budget-friendly options with the smaller trailers (e.g. pop-up or camper). Insurance is another upfront cost you have to factor in. As a rule, the larger your RV or trailer is, the more expensive the insurance will be. Buying your RV or trailer is not the end of your expenditures—far from it. Whatever model you buy, there are basic long-term costs of ownership. Storage is one: large trailers or motorhomes will almost certainly be too big to keep in your garage. Contact companies offering storage facilities, and compare prices. Just like your vehicle, RVs and trailers require regular servicing and maintenance. You will probably have to buy gear, or other items for your RV or trailer, e.g. space saving appliances. The cost of these can add up to more than you might think. The main benefit of buying a new RV or trailer is a quality guarantee. The dealership or manufacturer is there for support if needed. A new RV or trailer is under warranty for at least one year or more after purchase. If any issues crop up, the manufacturer or dealer is obliged to fix it for you. That said, every potential RV or trailer owner has a different set of goals. There is nothing wrong with buying a secondhand RV or trailer, as long as you know what to look for. First and foremost, never take the seller at his or her word. This applies whether you are buying from a private individual or a dealership. It’s up to you to verify the seller’s claims. This means you should be aware of how to check for minor and major damage. There will be different parts to examine, depending on the trailer or RV type. For example, the engines in motorhomes or the material of pop-up tent trailers. Regardless of the model, you must be thorough. You need to see the condition of pipes, generators, water tanks, etc. If there are any moving parts, don’t hesitate to try them out. Set up and pack away pop-up campers or tent trailers to check for broken mechanisms or damaged fabric. Take the RV or trailer out for a spin to make sure the brakes (and throttle, if applicable) are in working order. Watch this video for advice on how to check a secondhand RV. You need to know where you will store your RV or trailer before you bring it home. Even if it will fit in your driveway, your Homeowners Association (HOA) might prohibit this in the long term. If you’re getting a pop-up tent trailer, you may be able to fit it in your garage. Just to be safe, take all the measurements beforehand. Motorhomes and large trailers are a different story. Even if you can leave them sitting outside of your home, this might not be the best solution. You have to protect your investment against the elements, or potential vandalism. Do you want to spend hundreds or thousands of dollars repairing damage? There are three different ways storage facilities can keep your RV or trailer: outdoors, covered, or indoors. 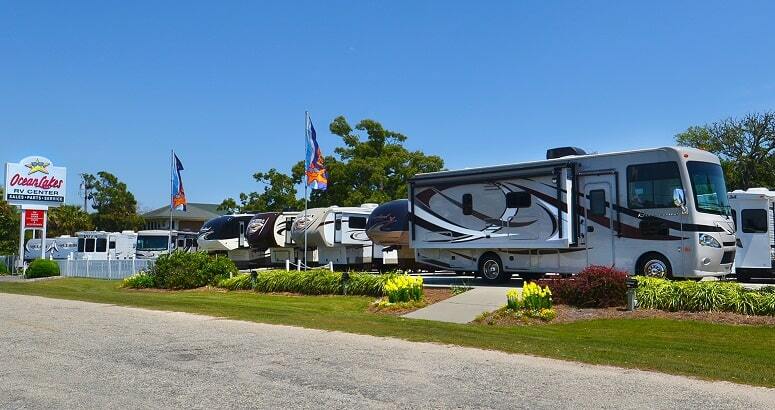 The size of your RV and the type of storage option you choose will factor into the price. Covered storage means that the RV or trailer will still be outdoors but sheltered. This type of facility may not wholly protect against severe weather, such as hail. Indoor storage, while offering the best protection for your RV, is going to cost you more than storing it outside. Specific RVs and trailers have different needs. For example, pop-up trailers that have canvas must be kept dry in storage. If you leave these trailers out in the rain, they can end up covered in mold and mildew. Setting up camp can take anywhere from 30 minutes to over an hour, depending on the RV or trailer. If something seems like it will be a nuisance before you commit, reconsider your desired model. These annoyances won’t go away after you make your purchase. 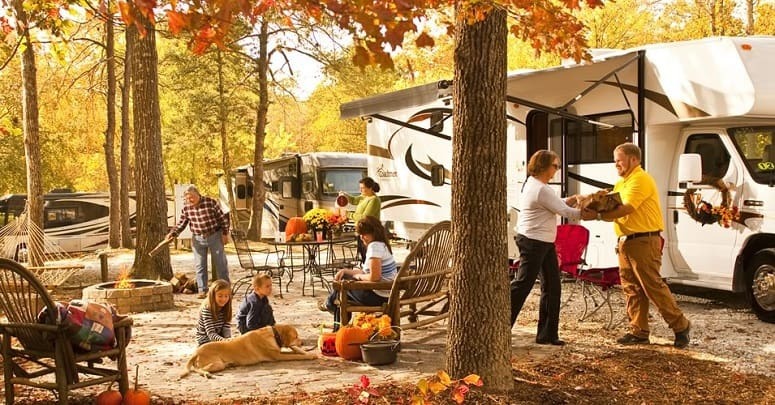 Motorhomes have to be parked and connected to electricity. Sewer hoses and water pipes must be set up. Trailers must be unhitched and stabilized. If you have a pop-up camper or tent trailer, prepare to put in some effort. The folding sides or external panels need to be extended. This might involve using a hand crank or manually placing poles and canvas—or both. Remember that everything you do to set up camp has to be reversed when you leave. Everything has to be re-hitched, unplugged, and folded away. Pop-up tent trailers cannot be folded away dirty or wet. You have to factor in wiping down your entire trailer before packing it up. Before you get engrossed in the idea of an RV or trailer, be prepared to know how to drive it. It takes time to adapt, whether you’ll be towing a trailer or driving a motorhome. Learning to tow a trailer takes patience and practice. You are already familiar with your car or truck. You just have to get used to the extra load. You will have to relearn how to brake, accelerate and turn. The same goes for reversing and parking. It might be best to invest in extra mirrors for your vehicle, especially when towing large trailers. Not only are they safer, but they can help you get used to your trailer dimensions. You must also be attentive to the weather while you’re on the road. Powerful winds can tip your trailer over. Unless you have driven buses or trucks before, driving a motorhome for the first time can be intimidating. Unlike towing a trailer, you have to get used to a whole new vehicle. If you are transitioning from a car, there is a lot to adjust to. Motorhomes are high, wide, and heavy. This means that you need to avoid abrupt maneuvers at all costs, to avoid skidding or crashing. 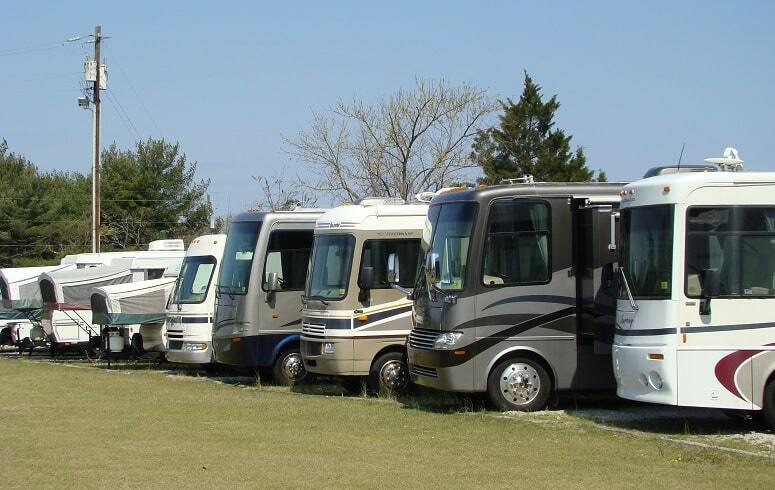 With practice, most drivers will grow comfortable handling their motorhomes. If you are a nervous driver or unsure of your ability, don’t immediately dismiss a motorhome. You can rent one and see how it suits you. Once you have a good idea of what to look for, start researching. You need to know all the options within your price range, requirements, and preferences. You can begin by searching general terms. Once you have a few models in mind, investigate each one. Visit the manufacturer’s website for all the specifics (e.g. dimensions, materials, etc). Read reviews on forums and social media platforms, by former and current owners. If you are buying a new trailer or RV, choose a reputable manufacturer or dealership. Lots of positive reviews from satisfied customers on different sites and platforms are a good indication. If you’ve found a secondhand RV or trailer you love, learn all there is to know about it. You need to know the specific model like the back of your hand before you view it. Discover what types of damage the model is prone to, e.g. water damage. A private seller does not have the same obligation to you as a dealership or manufacturer. It’s up to you to serve as your own quality control expert. 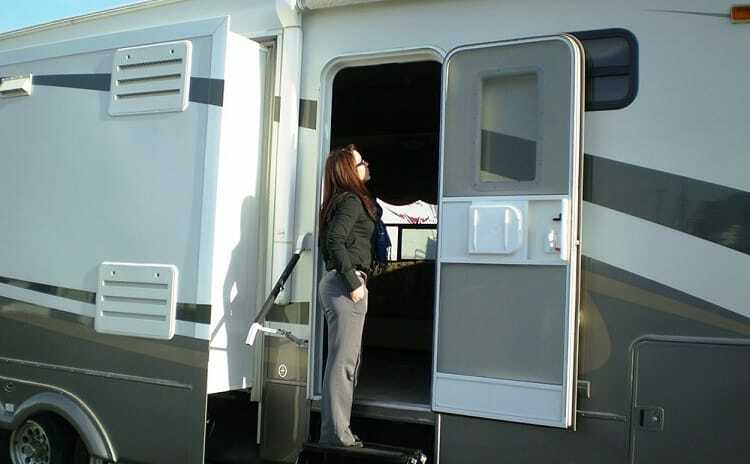 Reading about your dream RV or trailer is very different from seeing it in real life. No matter how excited you are, don’t rush through an inspection. For those of you buying secondhand, take things even more slowly. An RV or trailer might be perfect on paper, but still not be right for you. You may find that the bathroom is much smaller than you would have liked. Or maybe the layout is not as appealing as you expected. There are certain things that have to be experienced first hand. You need to explore and handle your potential trailer or RV before you buy it. Sit down in the chairs and, if possible, lie down on the beds. If there is a bathroom, enter it to get a feel for space. Stand in the kitchen and imagine yourself cooking meals there on a trip. Before you buy it, ask to take the model out for a test drive or tow. Evaluate the inside and outside of the RV carefully. You don’t want to find faulty wiring or a cracked waste tank after the sale is complete. Turn all the utilities on and off—flush the toilet, run water, turn on the furnace. Test all parts of the RV or trailer that slide or extend out. Save yourself the headache of discovering a stuck mechanism after you’ve completed the purchase. If you are buying your RV or trailer new, be sure you are getting the best deal. It’s good to know exactly what you’ll be getting in exchange for your money. Be clear on what is included and available upgrades for the model you have chosen. 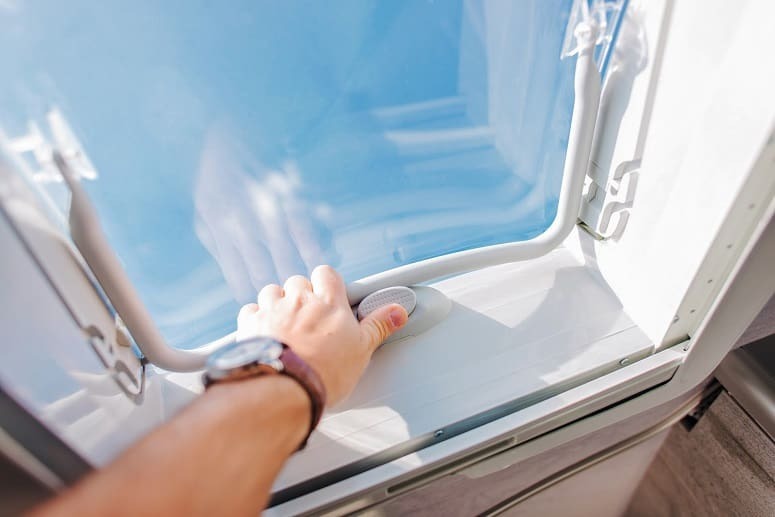 Modifying your vehicle later—for example, replacing single-pane windows with double-pane glass—can be more expensive than paying for the upgrades. You also need to know what accessories you will have to buy separately. These might include hitches for towable trailers, or electric brakes. Some manufacturers and dealerships offer walkthroughs of your new RV or trailer. If you are a novice, you should take advantage of this option. This will also give you an opportunity to confirm that everything works as it should before you take it home. I hope this guide helped you understand some things you should know before putting money down. Buying the wrong RV or trailer can make you question the whole lifestyle, which would be a pity. Conversely, the right RV or trailer will be a pleasure to own. It will become the starting point to all the great moments you will have on your adventures. Did you just buy an RV or trailer? Share your experiences in the comments. We would love to hear advice from experts too.If this guide was useful, share it with others who are considering RV or trailer ownership for the first time.